At Swampscott Mass with the Lincoln House & the City of Lynn in the Distance. 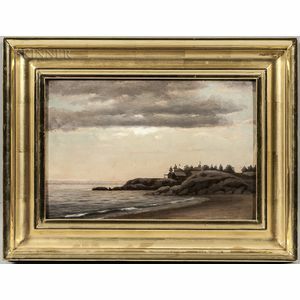 Titled and signed or inscribed ".../by ordway" on the reverse. 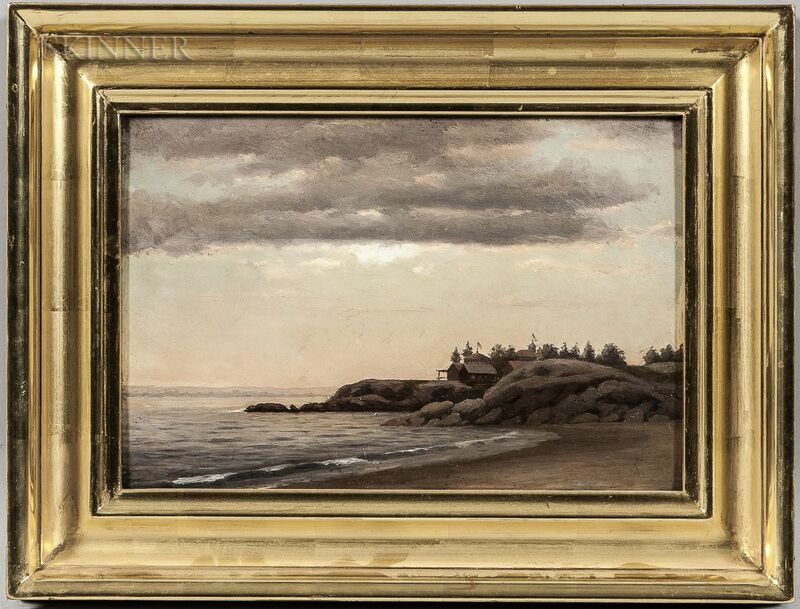 Oil on academy board, 9 1/4 x 14 in., framed. Condition: Wear to the edges of the support, dog-ear crease to l.r. corner. Reverse with surface abrasions from old tape mountings in the corners.